Corporations exist for the benefit of their shareholders. Comprehending financial statements is an essential skill that can help investors and creditors make more effective decisions with respect to investment management and commercial lending. Alvarez and Fridson (2011) explain that because corporate financial statements are difficult to understand strategists must have a comprehensive knowledge of how to read the data that is contained within these financial statements. The objective of these reports is not to educate the public about a firm’s financial situation. Their goal rather, is to maximize the wealth of their shareholders. In other words, financial statements serve to help leaders develop more effective methods to maximize shareholder wealth while reducing the cost (or interest rate) at which they can borrow and in turn, sell shares of stock at higher rates to generate more wealth for the shareholders (Alvarez & Fridson, 2011). In short, the main objective of financial reports is to help corporations acquire inexpensive capital. Financial report Income statements provide a picture that helps analysts determine a company’s profitability. Ittelson (2009) postulates that in order to understand the information that is contained within these statements the reader must first have a better understanding of the item terms they contain. For instance, the terms sales and revenue are identified as the income statement’s top line and are used to measure the capital a company receives from their consumers. The terms profits, earnings, and income on the other hand, are used to measure the company’s bottom line and reflects the amount of capital that is left over as revenue after expenses are deducted. 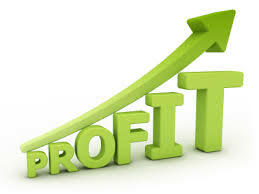 Simply put, revenue is the top line of the income statement while income is considered the bottom line (Ittelson, 2009). Understanding the these terms more clearly can help make it easier for individuals to extract information that is pertinent to them. Sales, in the meantime, are considered a major source of revenue for a firm and income statements are utilized to provide analysts a means to measure and assess a company’s operating performance because they help paint a better picture of a firm’s earnings. Fraser and Ormiston (2010) explain for instance, that earnings on income statements provide data for several years. This allows strategists to observe and compare changes and trends that occur over a given period of time (Fraser & Ormiston, 2010). For example, there are two significant causes that can effect changes in sales numbers: (a) price increases and (b) liquidity of sales units. 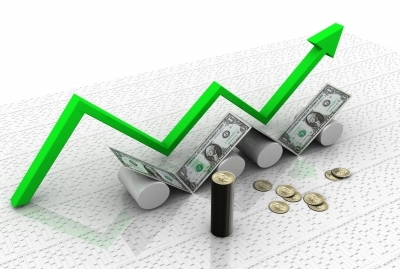 When a company’s sales increase for instance, analysts must determine whether the change occurred due to price increases, volume activity changes, or a combination of both. In other words, strategists use this information to determine whether sales figures are increasing due to price hikes, the movement or liquidity of large volumes of units, or whether it resulted from of a combination of both factors. Generally, as a rule, higher earnings result from moving large units of stock. Another reason could be that higher prices were implemented to keep up with the expanding rates of inflation. Sales figures can also become affected by a cost flow assumption that some accountants used to value inventory. For example, some companies use the last-in, first-out (LIFO) method to report sales and inventory. This strategy allows the last purchases a company makes during the year appear as an expense on their income statements and is reflected on the statement to show higher-quality production earnings. Because of these kinds of strategies, income statements must be assessed accurately to help analysts determine the true picture of the revenue, expenses, and earnings of an organization with an awareness of the imperfections of the accounting system implemented by the manipulation of bookkeepers intended on distorting a firm’s economic reality to impress potential investors. Alvarez, F., & Fridson, M. (2011). Financial statement analysis: A practioner’s guide. Hoboken, NJ: John Wiley & Sons, Inc.
Ittelson, T. (2009). Financial statements: A step-by-step guide. Amazon Digital Services, Inc. I agree keeping records of such statements in order to forecast a trend or a certain sales cycle will give the corporation more foresight on their markets. Releasing reports to the shareholders will communicate that there is a vision for the next quarters to come. Thanks For Sharing. Thanks for your comments Don. I appreciate your feedback. With all that has transpired on Wall Street, shareholders are appreciative of the transparency quality financial reporting offers. Cheers! Reblogged this on Join The Movement!.